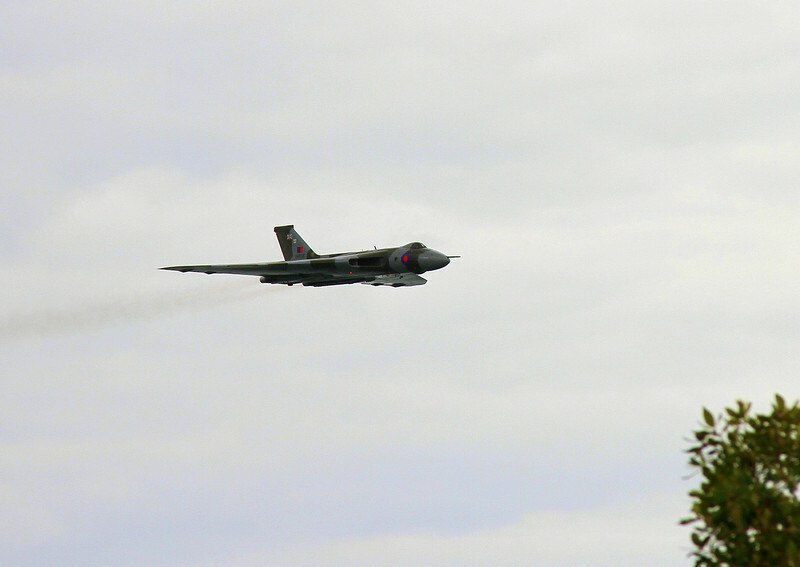 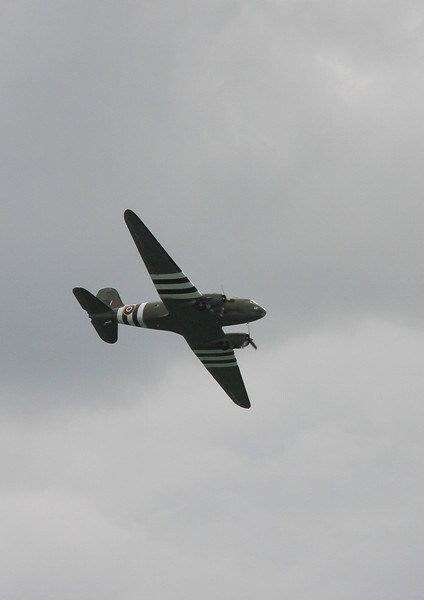 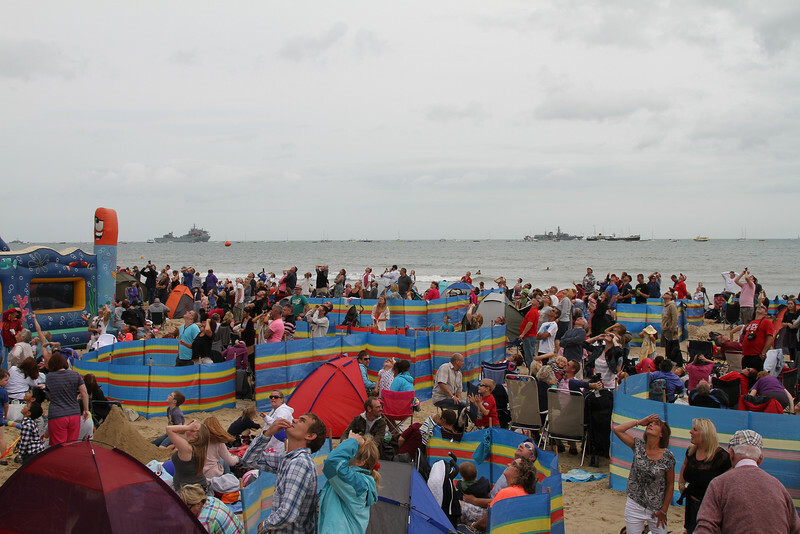 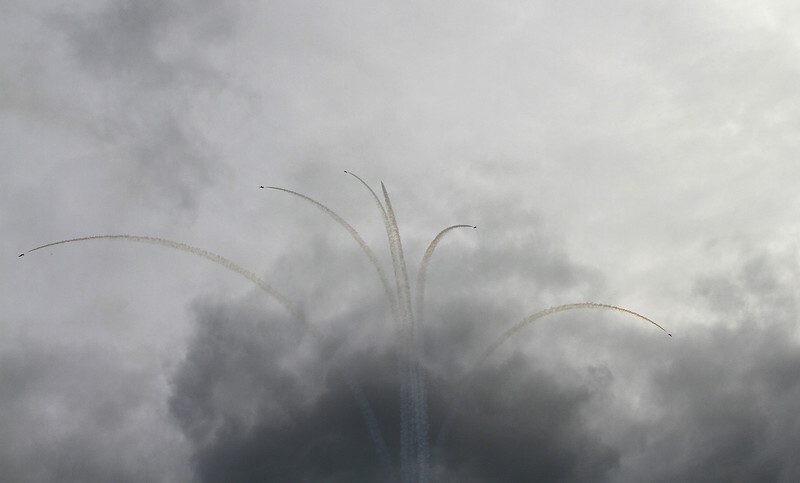 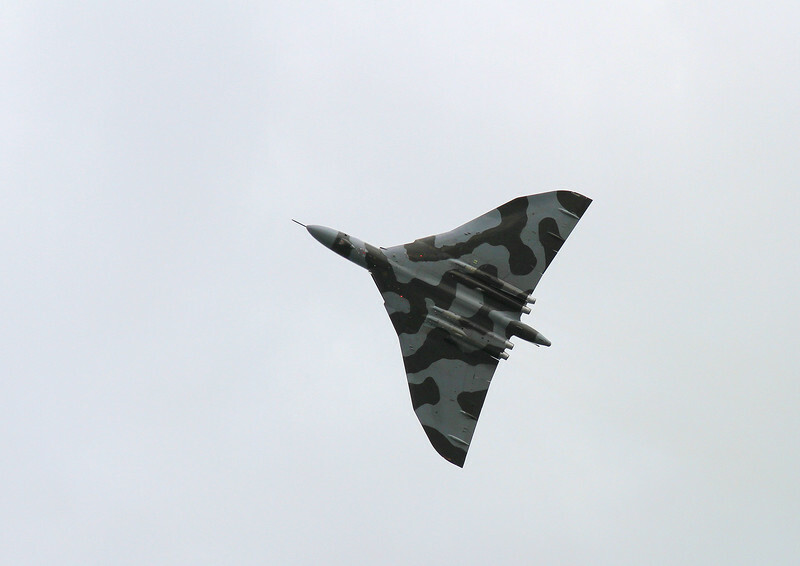 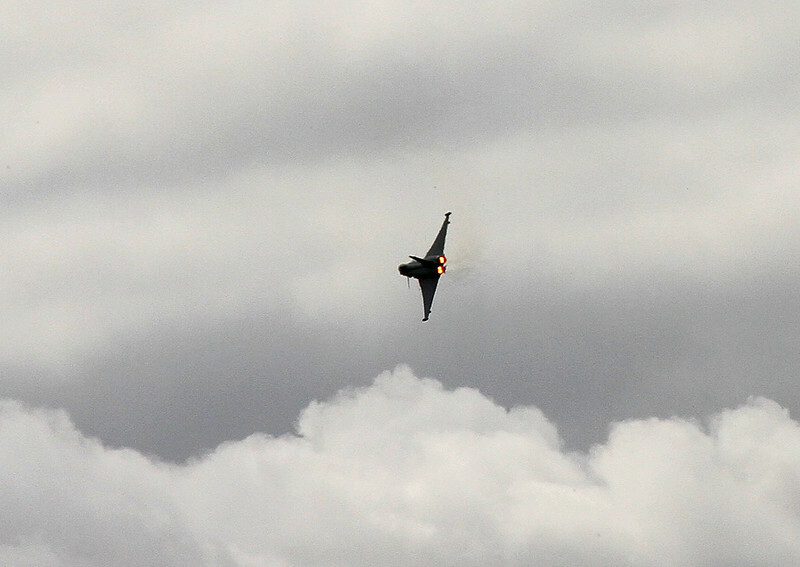 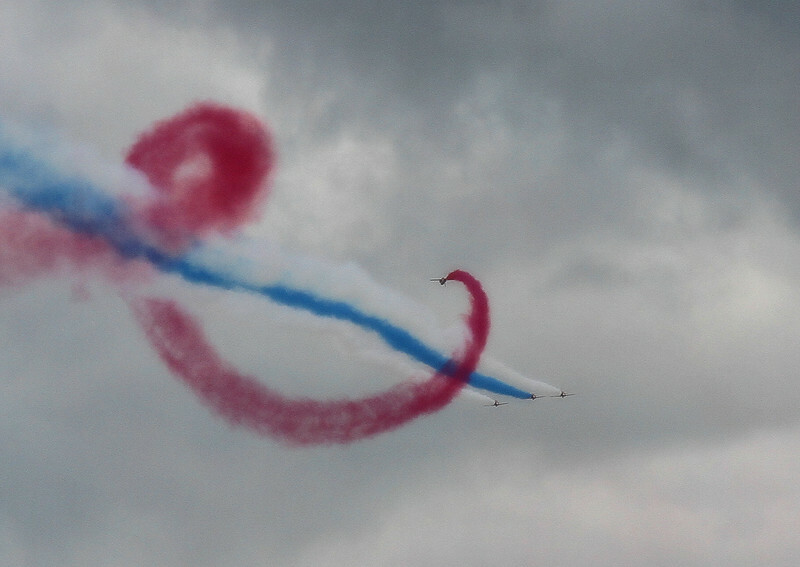 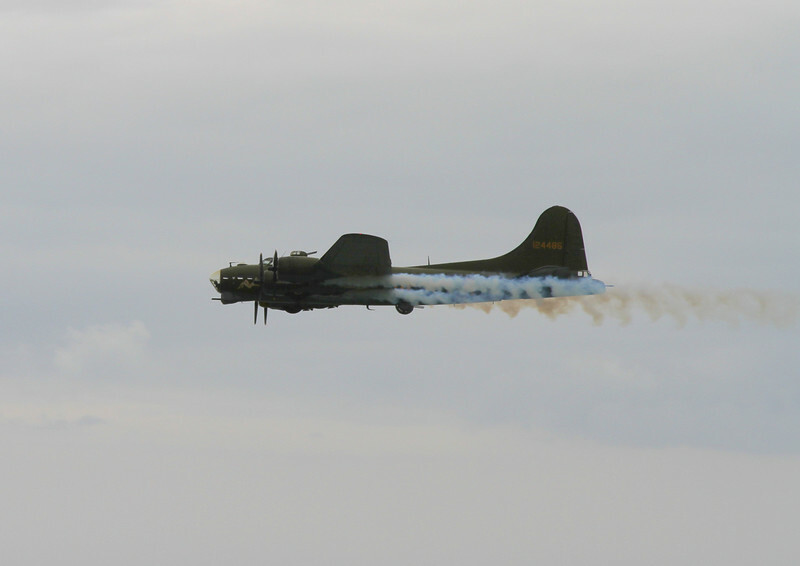 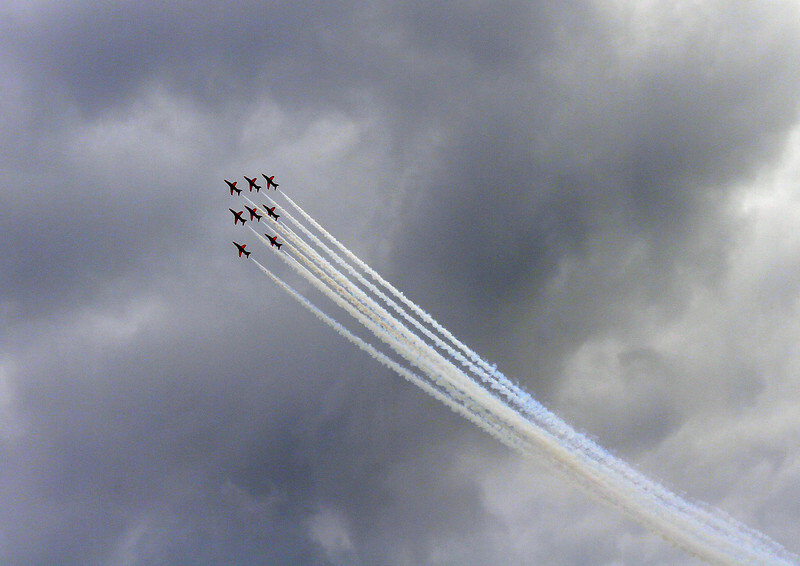 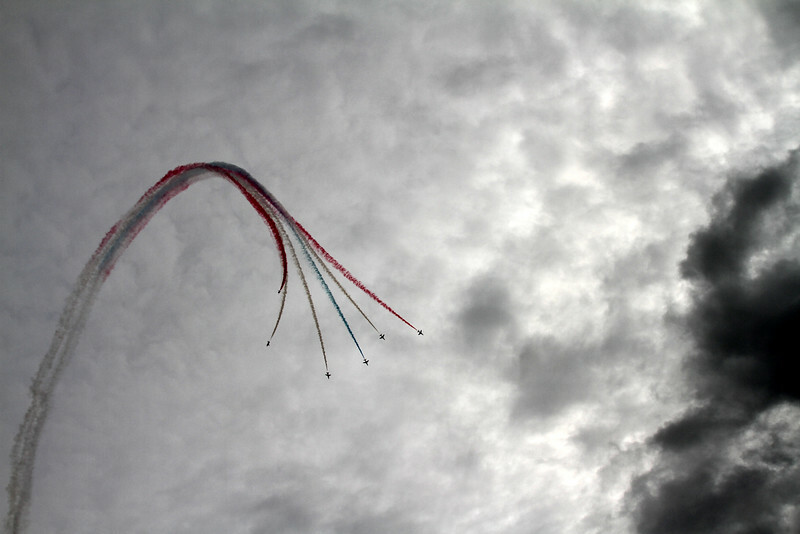 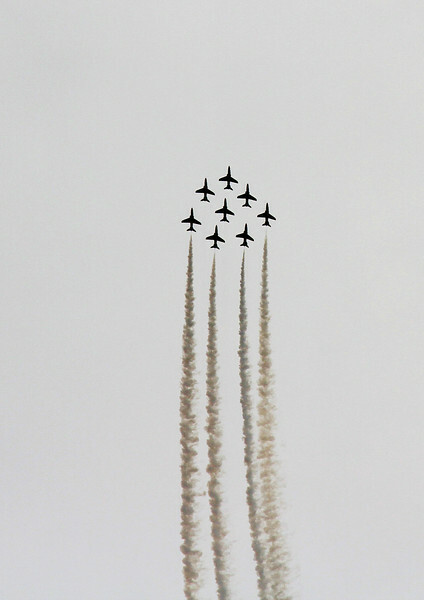 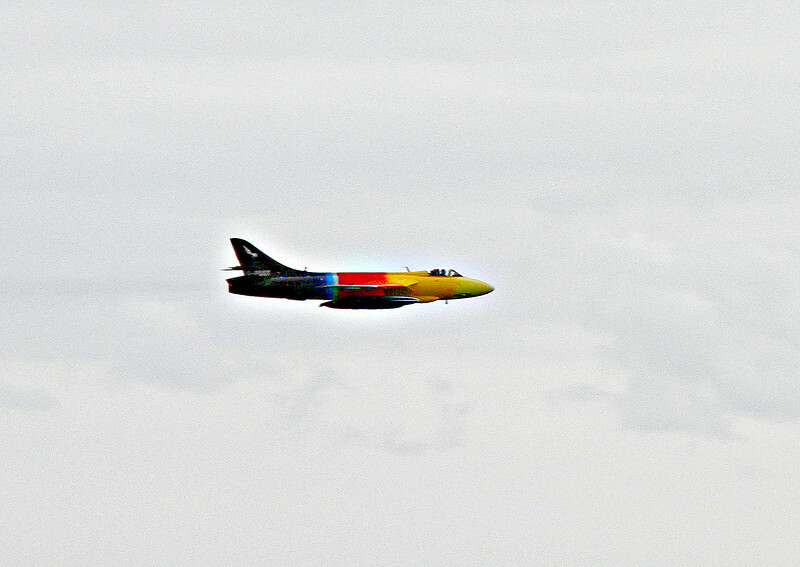 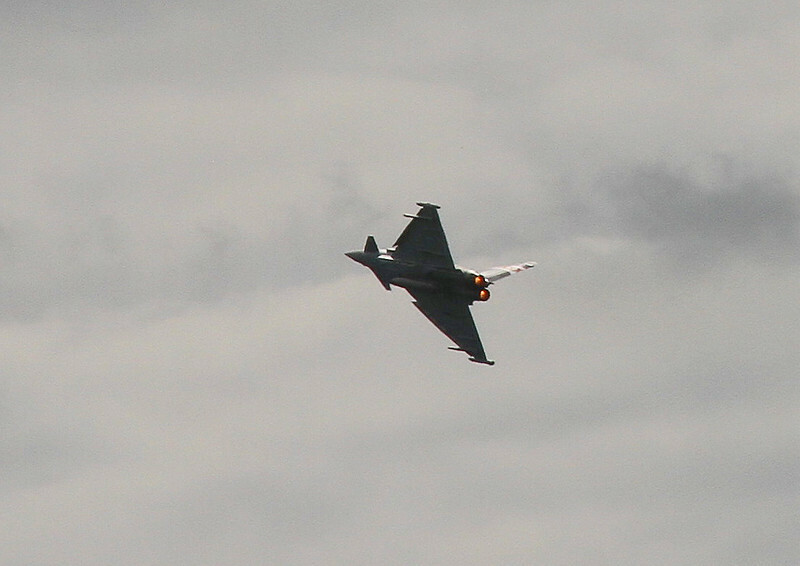 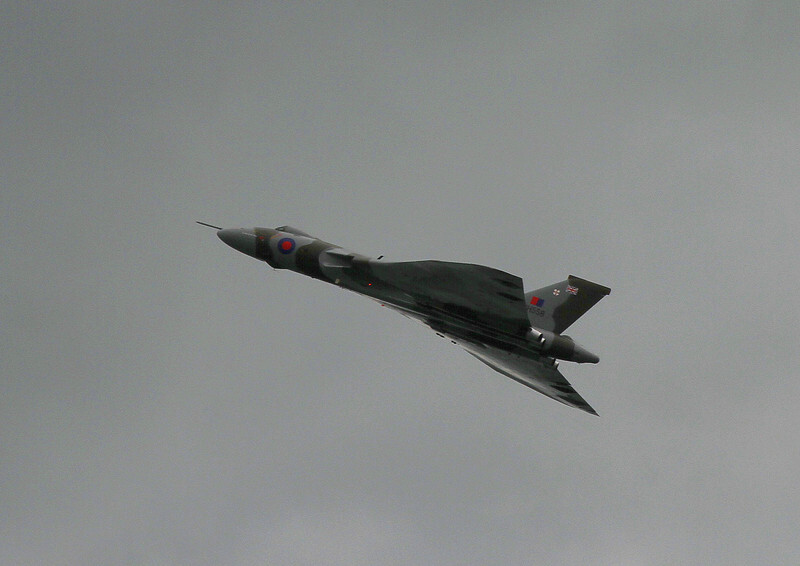 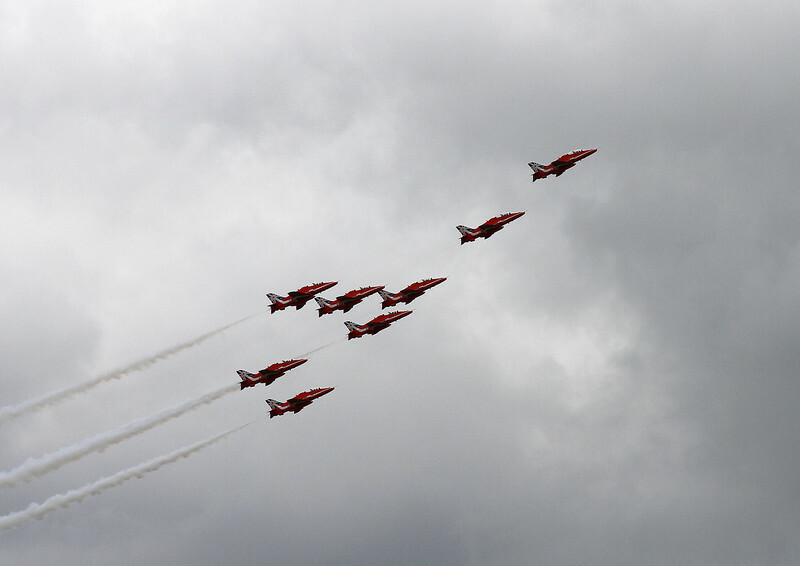 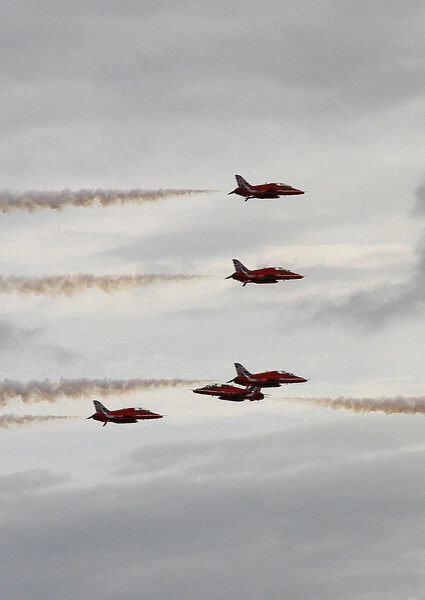 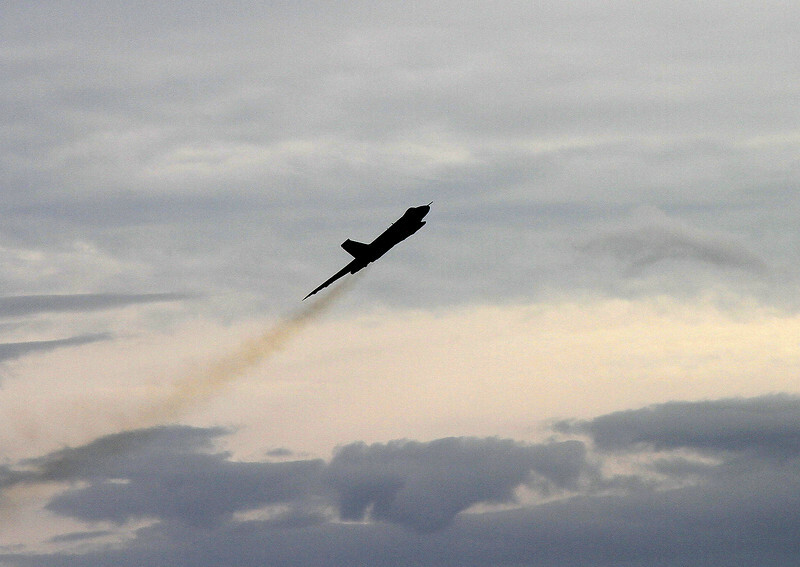 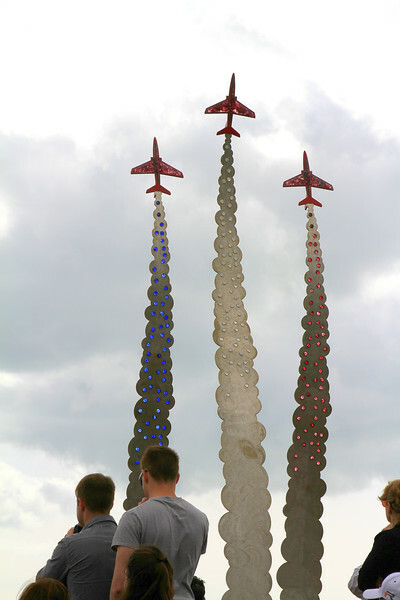 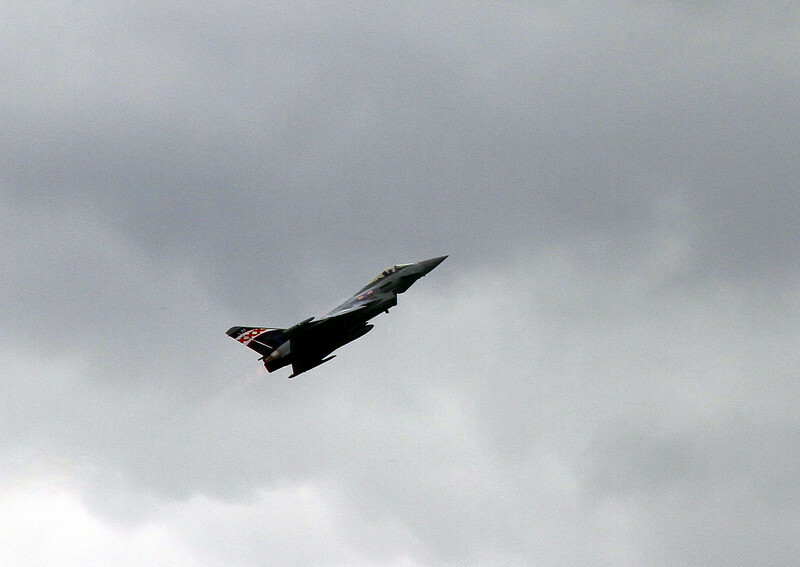 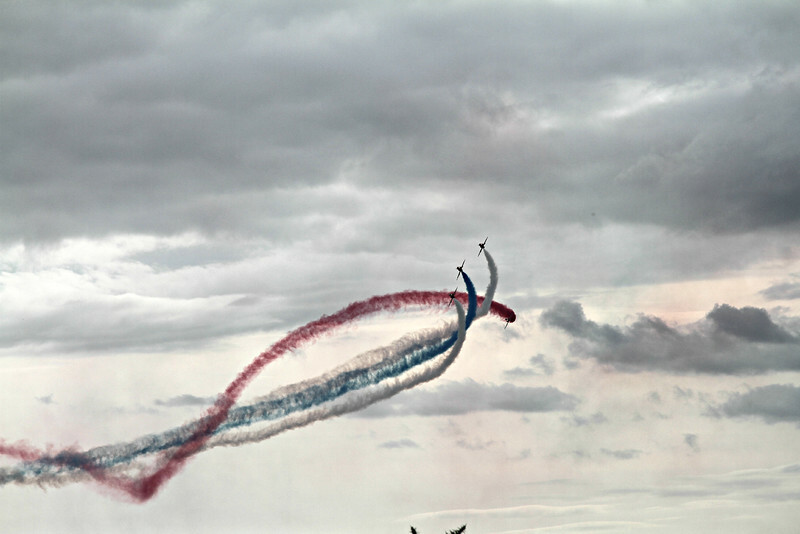 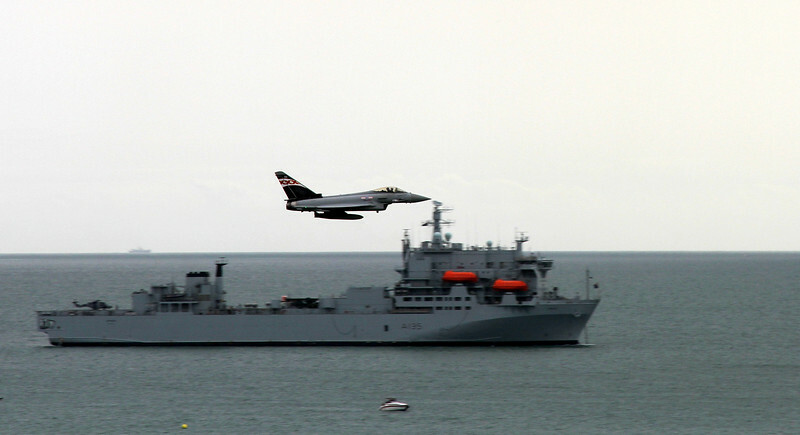 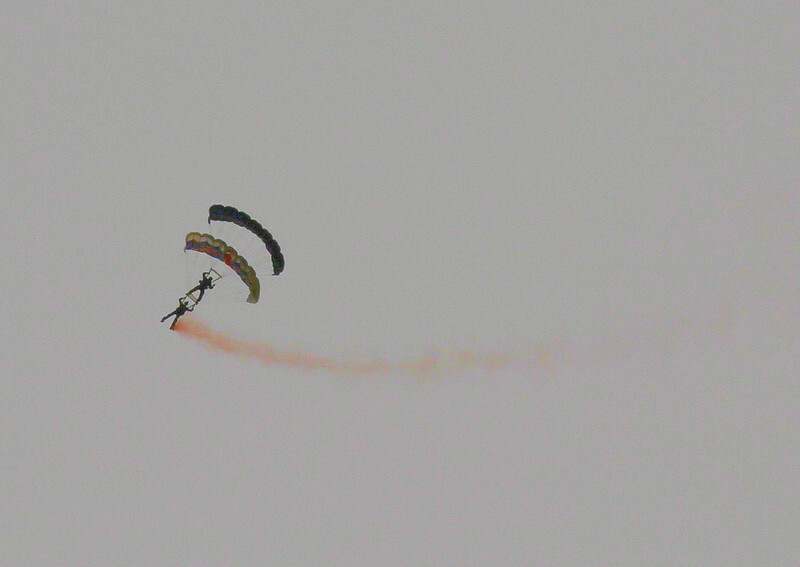 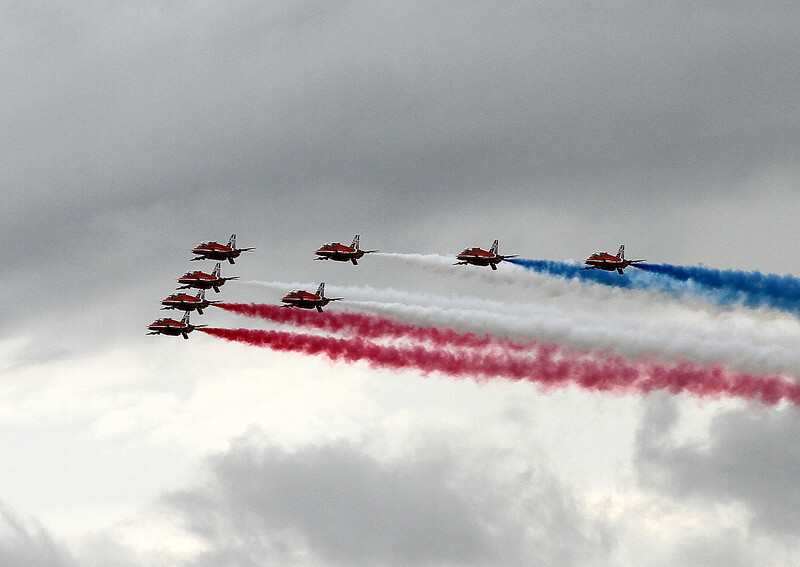 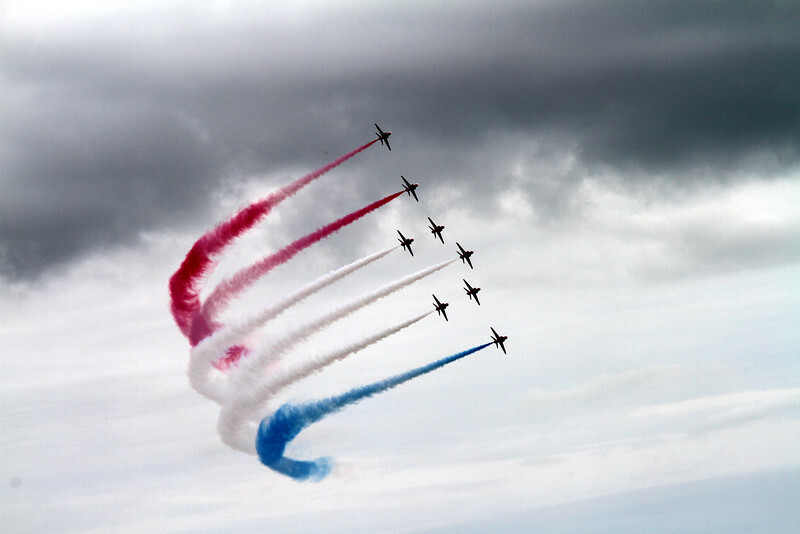 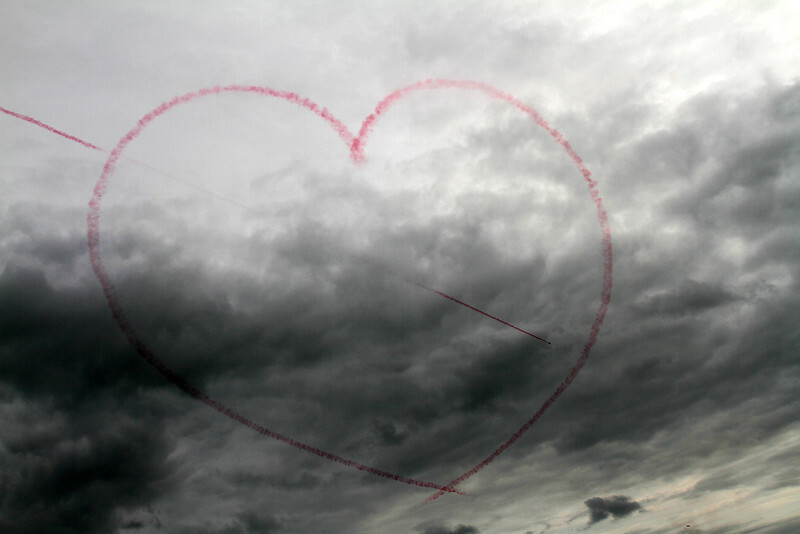 These are some pictures taken at the Bournemouth Air Festival on 30 August 2014. 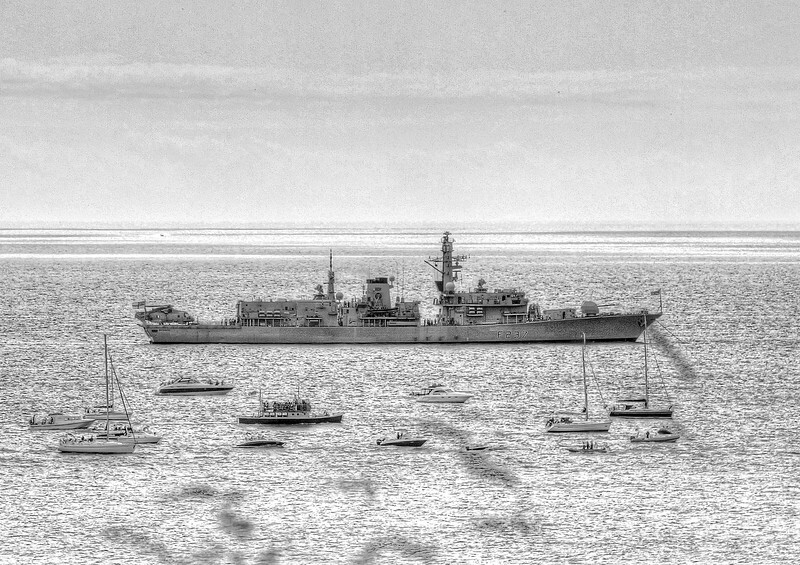 Type 23 frigate HMS Westminster was here to provide naval interest. 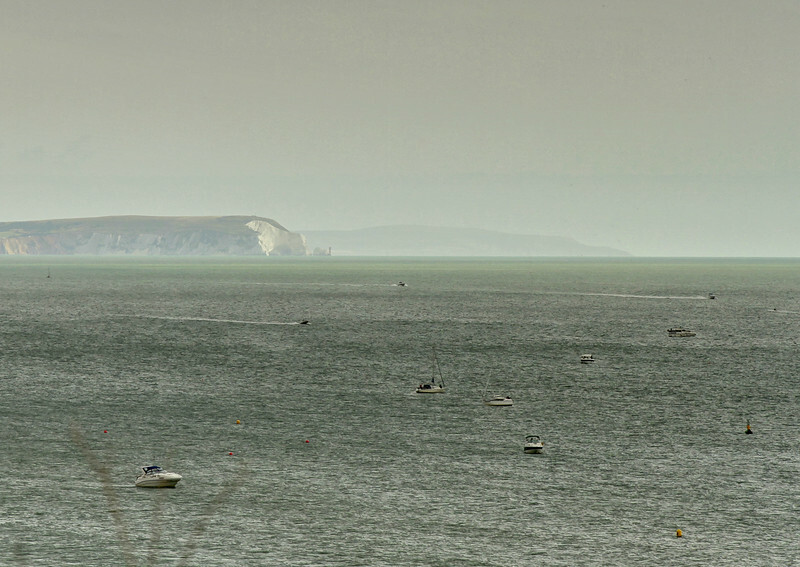 The Isle of Wight just visible in the hazy conditions. 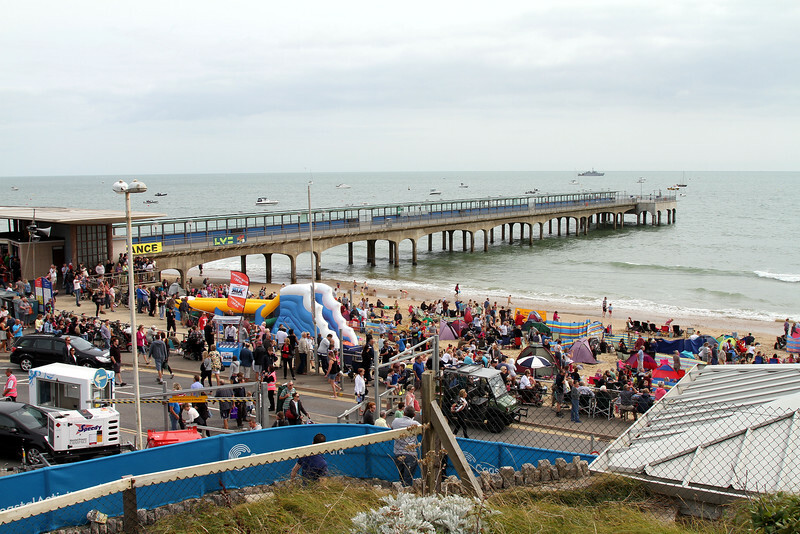 The eastern end of the display area at Boscombe Pier. 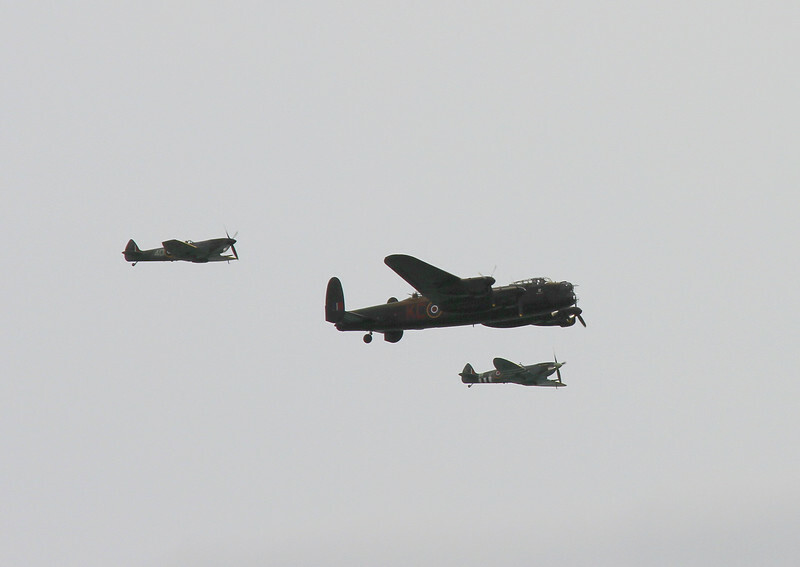 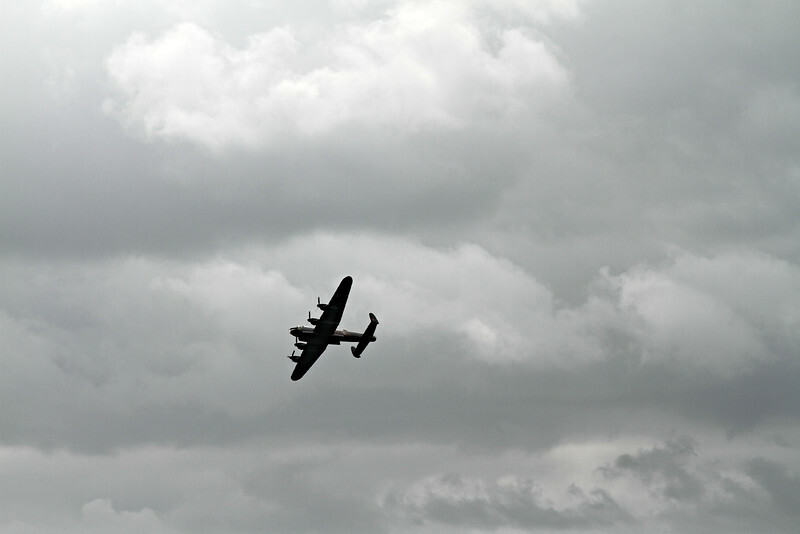 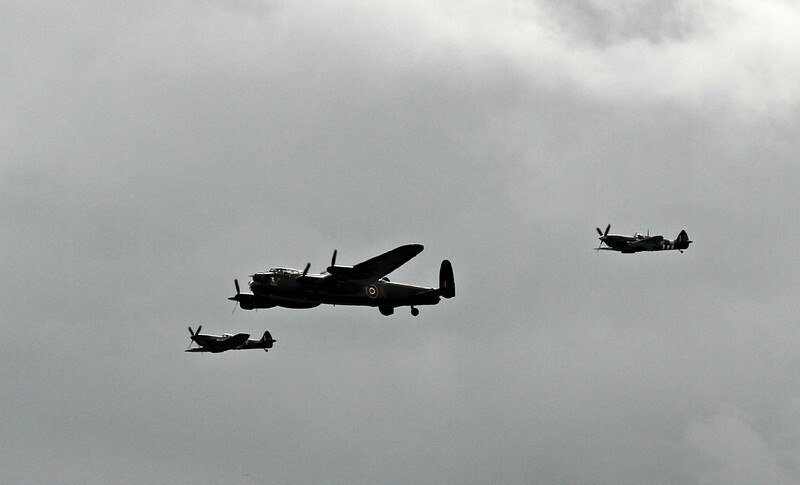 The RAF Battle of Britain Memorial Flight (BBMF) fly by in formation, here the Lancaster is accompanied by 2 Spitfires. 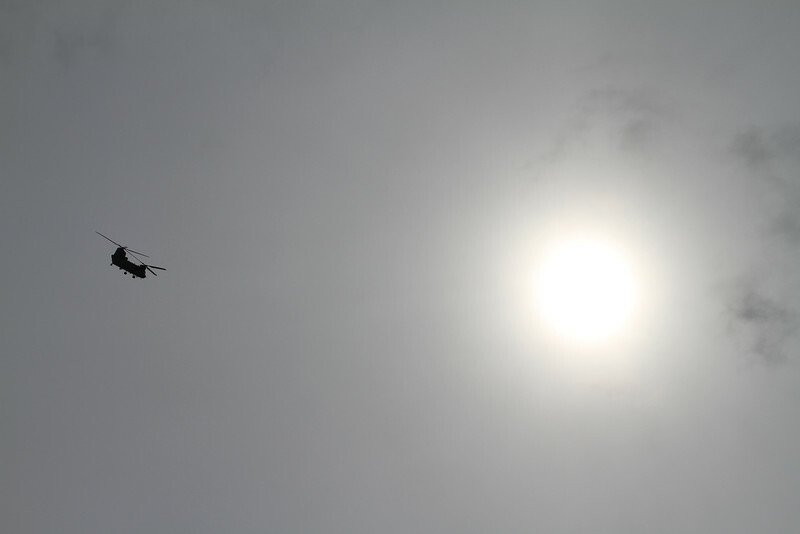 An RAF Chinook clatters about. 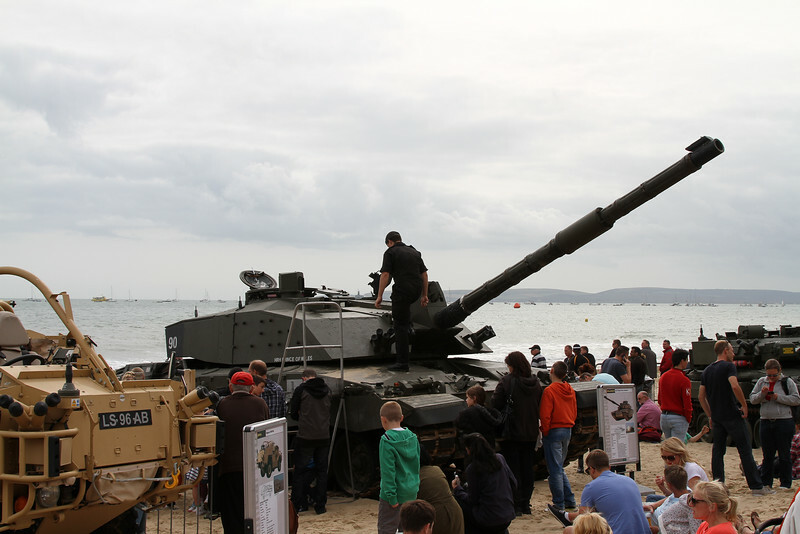 The scene on the beach at the Bournemouth Pier end of the display area.